There’s so much testosterone in Furious 7, the latest entry in The Fast and the Furious franchise whose wheels first hit the streets fifteen years go, that audiences may wish to check themselves for unexpected zits or hair growth in unexpected places once the credits roll. That’s not a bad thing, in this case — well, the pimples and back hair might be — because that level of testosterone is exactly what the masses have to come to expect from these films, and in that sense, Furious 7 delivers on exactly what one goes to see these films to see. 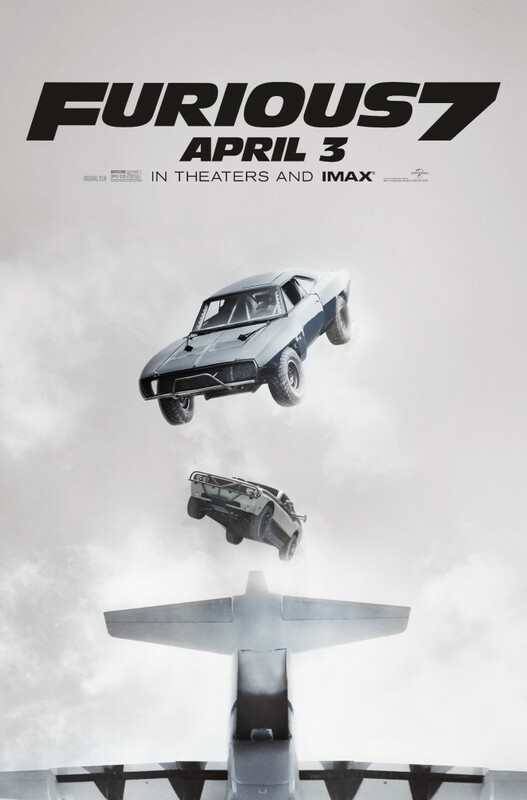 But Furious 7 also brings with it an expectation that’s unique to the series, in that here fans know going in that they’ll be saying goodbye in one way or another to series mainstay Brian O’Connor, played by the late Paul Walker. The film delivers on that expectation, as well, leading to a film experience that, while perhaps a little bittersweet, should leave fans geared up for the next chapter and casual moviegoers with a taste for over-the-top action pleasantly entertained. When we last left our favorite Fast and Furious family after Fast and Furious 6, they’d just helped stalwart DSS super-agent Hobbs (Dwayne Johnson) take down international criminal Owen Shaw (Luke Evans), and thus earned pardons for past crimes from the U.S. government and the ability to return home from their exile abroad. They’d also gotten one of their own back from the dead, seemingly, in the return of Letty Ortiz (Michelle Rodriguez), who resumed her long-time romantic relationship with Dominic “Dom” Toretto (Vin Diesel) despite still suffering from amnesia that prevents her from remembering their lives together prior to their meeting up while she was working for Shaw. For Dom and Letty, and also for Brian and wife Mia (Jordana Brewster), adjusting to life back in L.A. has its bumps in the road, but those all take a back seat when they find themselves under attack by Deckard Shaw (Jason Statham), bigger, badder brother to Owen and a former British Special Forces assassin whose lethal skills include being a “ghost”, the kind of virtually untrackable covert operative that most governments employ and would immediately deny employing if asked. After attacking Hobbs and murdering the team’s friend Han (Sung Kang) on the streets of Tokyo (as seen originally in The Fast and the Furious: Tokyo Drift and again in the mid-credits scene of Fast and Furious 6), Shaw faces Dom and makes his intent to avenge his brother frighteningly clear. “You don’t mess with family,” Shaw says during the first of several face-offs with Dom. On this one point the two men agree. Now, naturally, it’s not as simple as just finding Shaw and running him over with a car or shooting him or beating his brains in. To take the battle to him, rather than have him hunting them, Dom and his crew find themselves seeking help from a high-level U.S. government operative (Kurt Russell), who has them first find and extract Ramsey (Nathalie Emmanuel, “Game of Thrones”), a talented computer hacker who’s developed a prototype tracking program called “God’s Eye”, from captivity at the hands of a mercenary band led by a pretty scary guy named Jakande (Djimon Hounsou) who wants God’s Eye for his own profitable ends. Get Ramsey and God’s Eye, Dom’s new friend “Mr. Nobody” says, and tracking down a ghost like Shaw, who has eluded capture by international authorities for years, can be done in a matter of hours. Sure. No problem. Except that it’ll require things like air-dropping in their cars from a C-130 cargo plane at 12,000 ft onto a mountaintop in Azerbaijan, crashing a glitzy high-society party to steal tech from a high security penthouse vault in Abu Dabi, and even dodging military drones firing missiles at them from above as they scream through the streets of their native Los Angeles. Too much to keep track of? Don’t worry. Following the logic behind it all is really optional, as it’s just fodder to tie together all those amazing stunts, fight scenes, and set pieces, and that’s what you should really be there to see, anyway. Since 2011’s Fast Five, the film that introduced Dwayne Johnson’s character into the franchise, these films have followed a very specific formula to success: in addition to delivering what each of the main characters is expected to bring to the table and all those cool cars and beautiful women, add memorably formidable characters played by bankable, if not A-List stars, incorporate more physically elaborate and punishing fight scenes, and just keep making the car stunts bigger and crazier as the team pulls off heists and capers rather than simply winning street races. The formula clearly works, though it has the side effect that the films keep getting longer — Furious 7 is now the longest in the series, clocking in at 2 hours and 17 minutes, while Fast Five and Fast and the Furious 6 each ran 2 hours 10 minutes — and the films’ storylines grow more and more implausible. None of that really matters when you’re having fun, though, so as long as you don’t sit down expecting to watch Merchant Ivory-quality acting and drama and know exactly what you’re in for, then you should be in for a good time. What really works to these films’ common benefit is the ease and chemistry with which the cast, the majority of whom have been working in this series for the better part of a decade and a half, slip back into the shoes of these familiar characters and in lock-step with each other. In this regard, Tyrese Gibson and Chris “Ludacris” Bridges are always the welcome faces to see return, as their near constant banter and badgering of one another as the flashy and sometimes whiny Roman Pearce and cool and capable tech wiz Tej Parker provide a reliable source of comic relief. Gibson, in particular, always looks like he’s having fun playing this role, as he’s often the one who finds the crews’ approaches to problem solving to be exactly what they are: utterly insane. He’s the voice of reason in a setting where such a thing is about as out of place as possible, and thus listening to him protest the craziness in vain is good for almost endless laughs. The new cast additions in Furious 7 also prove to be very enjoyable fits to the mold. Of course, Statham brings his signature dead calm and intensity to the role of Deckard Shaw, who between his fighting and driving skills might as well be his character from The Transporter films without the suits and ties. His on-screen charisma, and just how entertaining it is to watch him trade punches, kicks, and cringe-inducing body slams with Dwayne Johnson and Vin Diesel, should surprise absolutely no one. Same goes for other new additions Tony Jaa (Ong-Bak: Muy Thai Warrior) and UFC fighting phenom Ronda Rousey, who get their opportunities to display their talents while mixing it up with Paul Walker and Michelle Rodriguez, respectively. And “Game of Thrones” fans should delight at seeing Nathalie Emmanuel step out from the shadow of being Danaerys Targeryen’s translator and bring her beauty and talents to this franchise. But by far, the biggest treat in terms of new arrivals is Kurt Russell, who brings his own brand of timeless, effortless cool and swagger to his every scene in the film. Quentin Tarantino, an avowed fan of Russell’s who not too long ago made it clear to all that he cast Russell in his 2007 “Grindhouse” film Deathproof because he wanted him to be a “badass” again on-screen, would and should be pleased with what “Mr. Nobody” gets to do in this movie. One can only hope he, too, returns for future installments. As for the much-anticipated send-off of Walker, who died tragically in November, 2013 while on break from the production of Furious 7, it’s as fitting a tribute to the man and his contributions to the series, as well as his relationships with the cast and crew, as could have possibly been done. Don’t be surprised if you hear a few sniffles around you as the film takes its time to say goodbye. The bittersweet sentimentality that informs those scenes dovetails perfectly with the entire series’ enduring theme of family and familial bonds, and the effort is clear on the part of cast and crew that the film invites those watching to be part of that family and feel their sense of loss while honoring their fallen colleague and friend. Just like everything else in these films, there’s nothing about it that’s subtle, but in this case, that’s really okay. Starring Vin Diesel, Paul Walker, Dwayne Johnson, Michelle Rodriguez, Jordana Brewster, Tyrese Gibson, Chris “Ludacris” Bridges, Elsa Pataky, Lucas Black, Djimon Hounsou, Tony Jaa, Ronda Rousey, Nathalie Emmanuel, with Kurt Russell and Jason Statham. Directed by James Wan. Rated PG-13 for prolonged frenetic sequences of violence, action and mayhem, suggestive content and brief strong language.